Aquarium and reserve visitors will find the entrance subtly marked at the west end of the main aquarium parking lot. 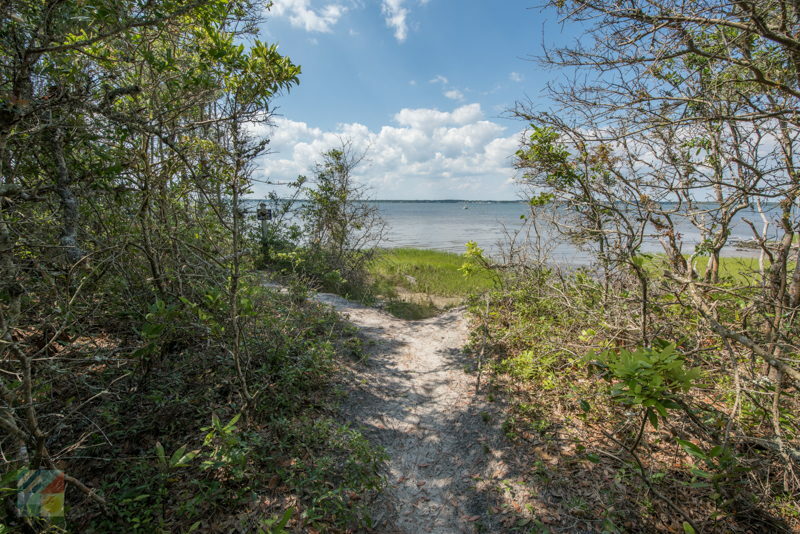 With two distinct trails that wind through this expansive parcel of land, Crystal Coast vacationers can choose their own adventure, and tackle a hardy, 1 mile hike, or a gentler short trail that loops through the marsh. 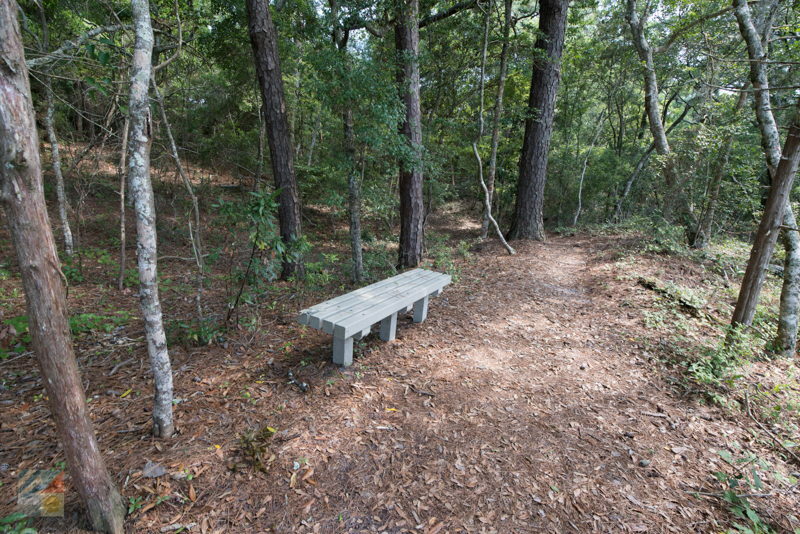 The preserve, or Natural Area, is generally free to all Pine Knoll Shores visitors, and with small benches and wildlife viewing areas tucked discreetly in patches of marshy or wooded terrain, is a peaceful, relaxing way to enjoy the natural scenery of Pine Knoll Shores off the beach. 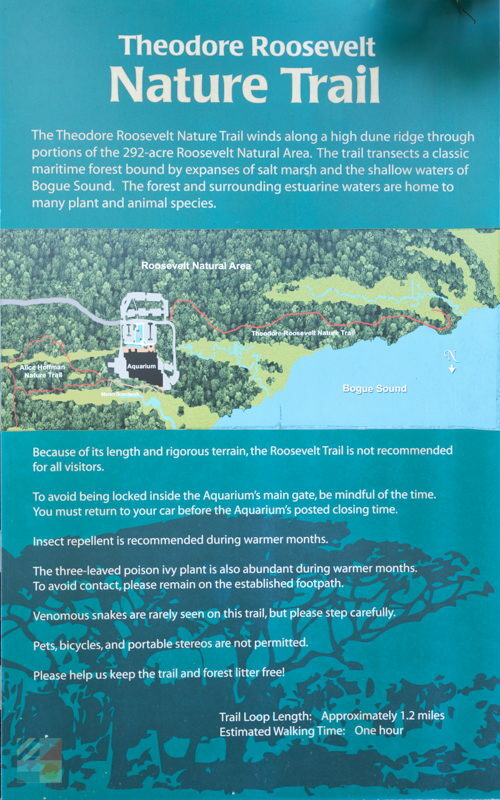 The Roosevelt Nature Trail is the longer and more rigorous of the two walking trails, and is essentially a mile long loop that scales up a high dune ridge, and passes a number of soundside and interior marshes. Benches are stationed along the route for a rest, or a quiet area to view the hundreds of migrating birds that can be found year round in the area. There is no fee to access this trail, and the trail even connects with a neighboring and more extensive Volkswalk trail, a longer trail maintained by the American Volkssport Association, a national walking organization. 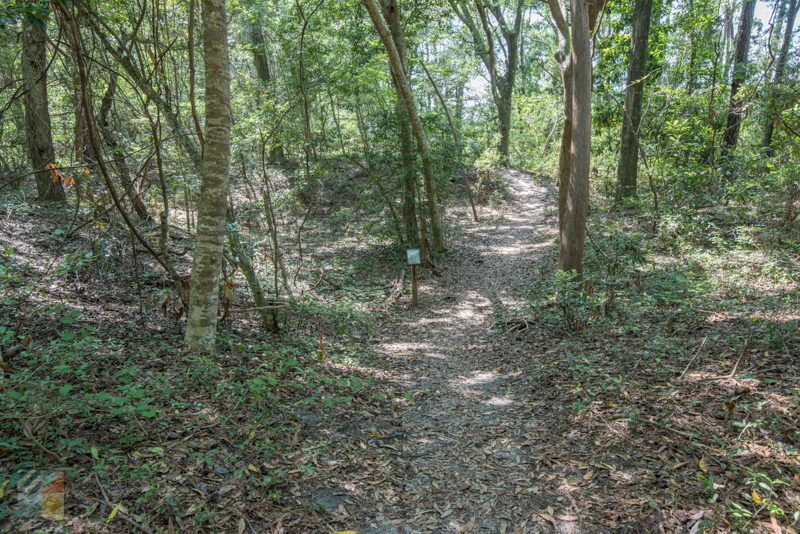 The Alice Hoffman Nature Trail is a shorter expedition, and is an appropriate trail for hikers of all skill levels and ages. 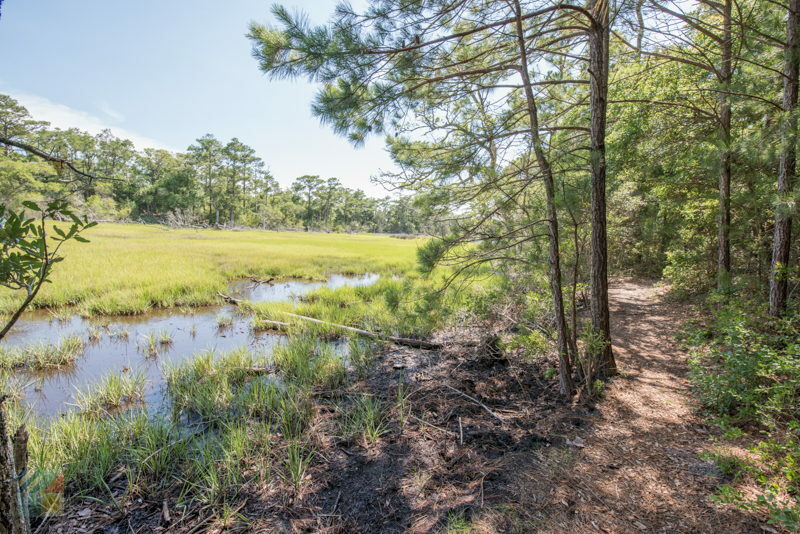 Leading out to a viewing blind at East Pond and crossing over a marsh boardwalk, the trail is a scenic and manageable loop through the marshy ecosystems of Pine Knoll Shores. 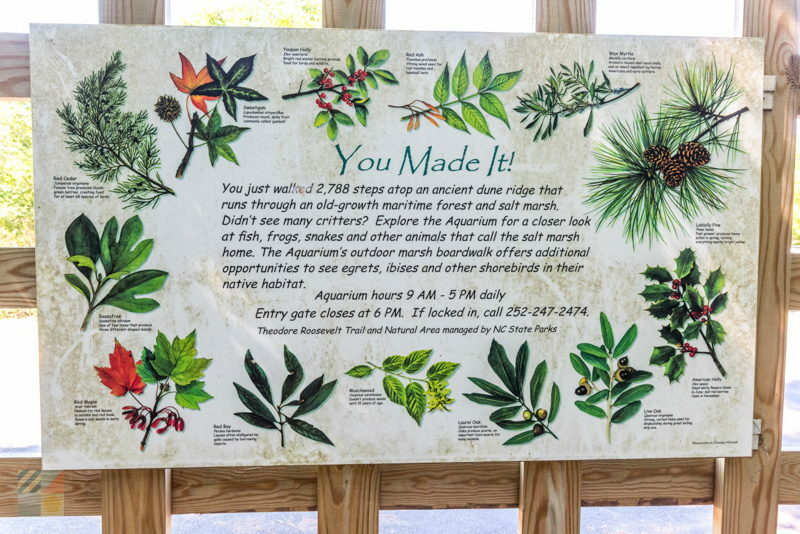 This trail is open to all NC Aquarium visitors. 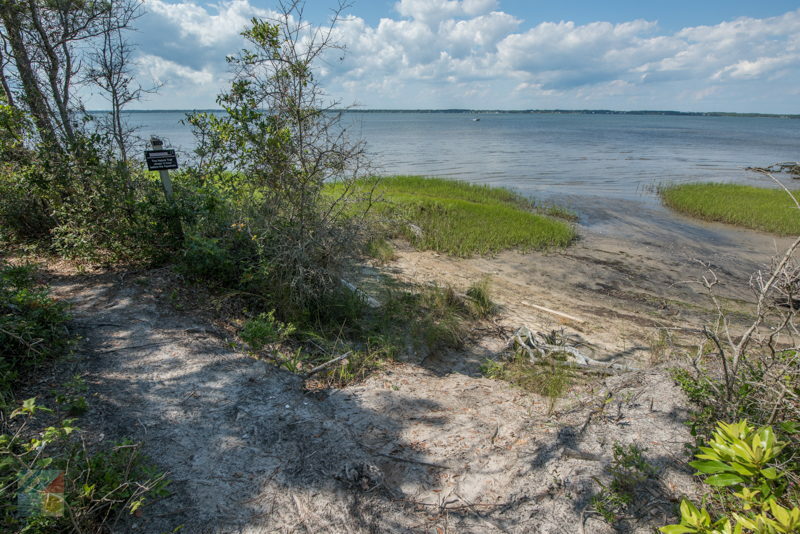 The trail itself is named after the late Alice G. Hoffman, a descendent of a wealthy New York family that purchased 8.5 miles of the island in 1917. Falling in love with the coastal region, Alice eventually abandoned her New York and Paris residences and lived, full time, on the Bogue Banks in 1938. While Alice lived in quiet Pine Knoll Shores, she developed a friendship with her niece, Eleanor Alexander, who would eventually marry Theodore Roosevelt Jr., President Roosevelt's eldest son. Alice Hoffman, who had no children, ended up leaving her estate to Eleanor, and in 1971, the Roosevelts donated 298 acres of this estate to the state of North Carolina, which used the funds to build both the aquarium and the expansive natural area. Today, visitors can admire countless local species in their natural habitat at the preserve, including river otters, marsh rabbits, raccoons, gray foxes, squirrels, and amphibian and reptile residents, such as salamanders, frogs, anoles, snakes, and turtles. The region is best known among bird lovers, however, and countless water birds call these isolated marshes home. 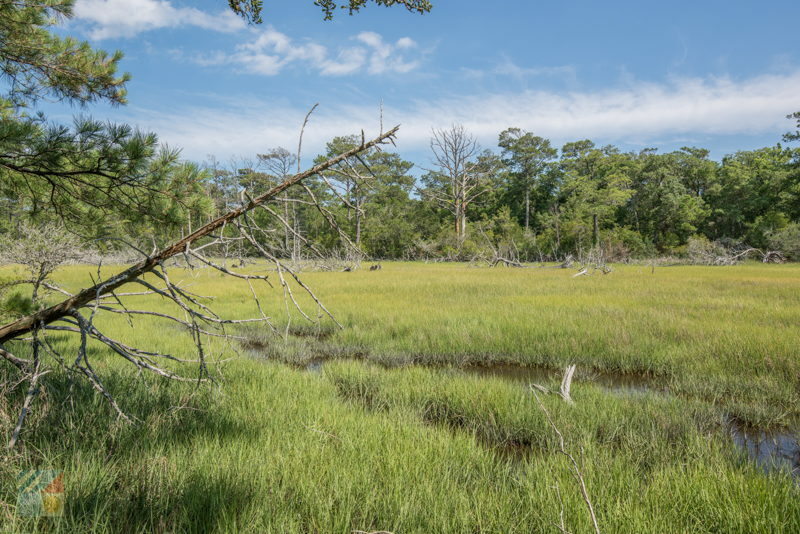 Egrets, ibises, kingfishers, ospreys and herons can often be spotted feeding in the marsh, while the maritime forest provides a year-round habitat for kinglets, nuthatches, flycatchers, vireos, warblers and chickadees. Creating a natural chorus that can be heard throughout both nature trails, bird enthusiasts will definitely want to bring along a camera to capture incredible shots of these species, perfectly at home in the barrier island environment. 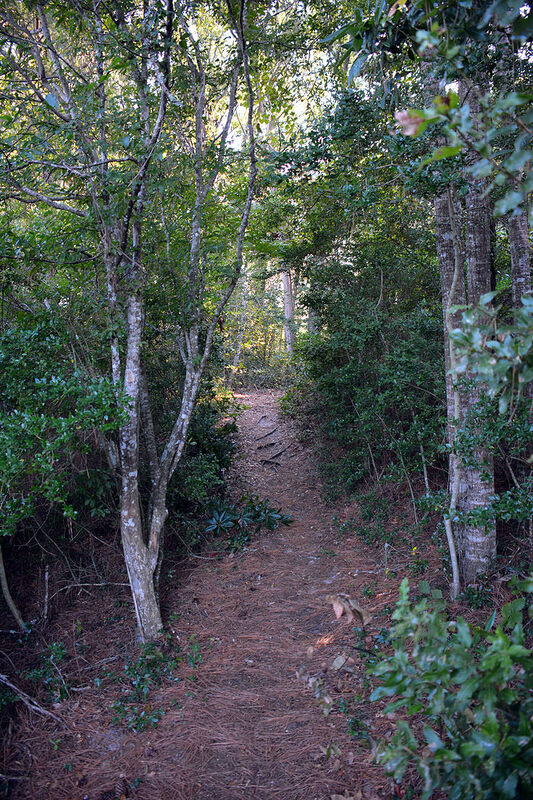 As for plant life, horticulturists will discover a vast array of both inland and barrier island plant life, including dogwood, hollies, loblolly pines, red bays, sweet gum, yaupons and wax myrtles, and the most impressive local mainstays, towering live oaks that have been standing strong for hundreds of years. Visitors are advised to tackle the trail early, as public access to the Theodore Roosevelt Natural Area closes daily at 4:30 p.m., and wear plenty of sunscreen and bug spray, especially in the summer months. 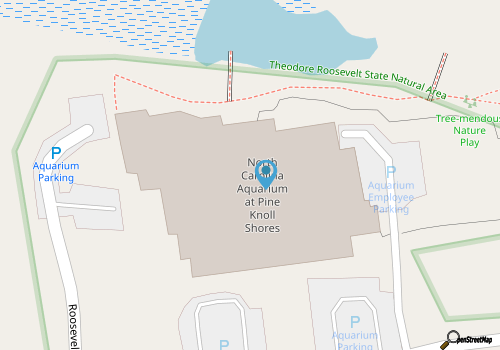 Restrooms and water fountains are located nearby at the aquarium, but not along the rustic trails, so visitors should bring along their own water bottles and snacks. Visitors should also be sure to stay along the main footpath, to minimize possible encounters with snakes or poison ivy, two of the trails less desirable residents. 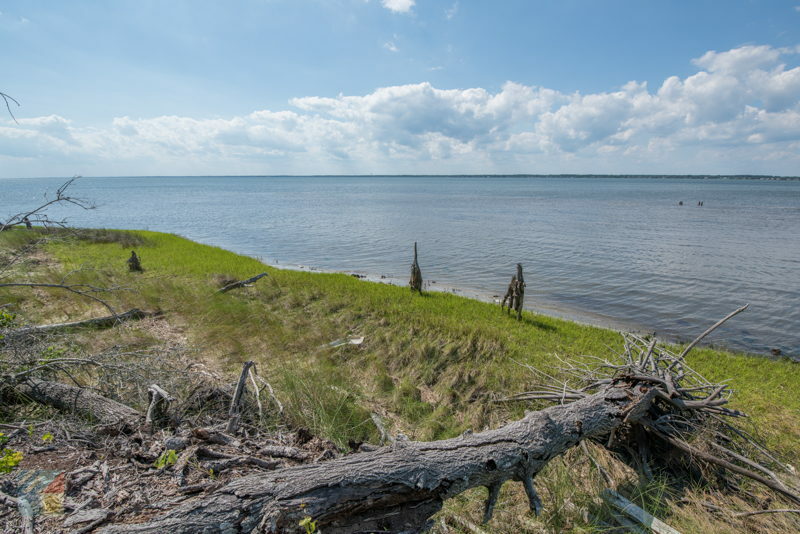 A remarkable natural attraction, especially considering that the area is bordered by collections of vacation rental homes and developments just a few blocks away, a visit to the Theodore Roosevelt Natural Area is a great way for vacationers to explore the natural landscape of Pine Knoll Shores. 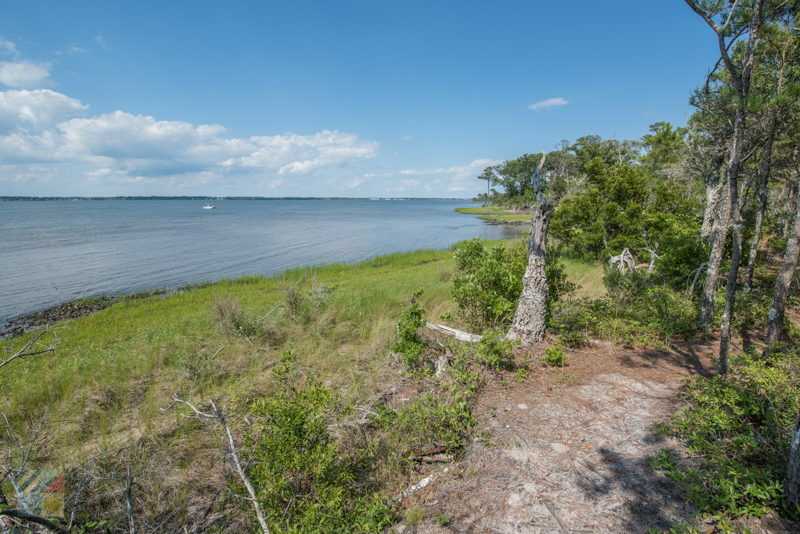 Open to the public, with acres of terrain to explore, this natural attraction is one of Pine Knoll Shores' hidden gems, and a great way for newcomers to get their feet wet in the undeveloped local landscape.